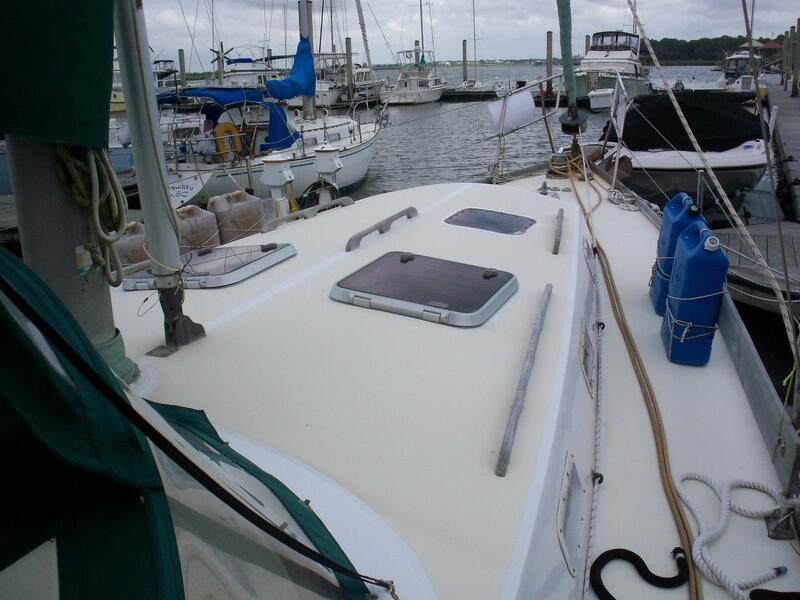 3-26-2019 MASSIVE PRICE REDUCTION OF $20,000. 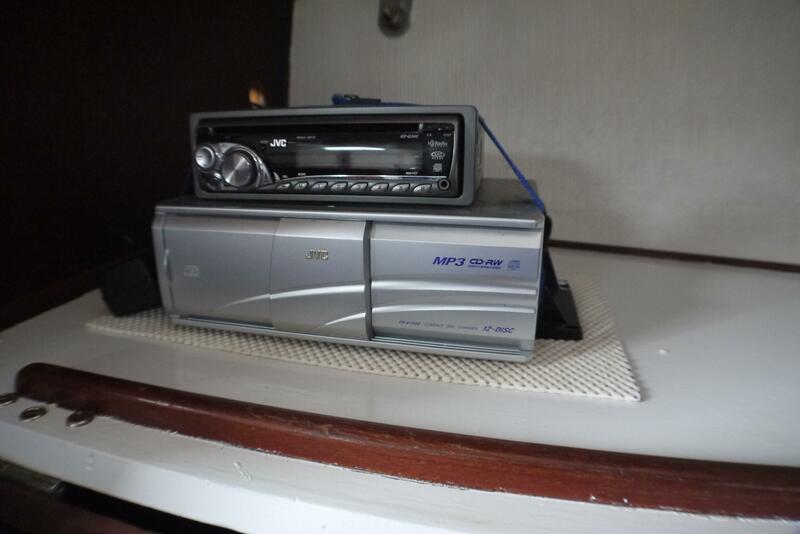 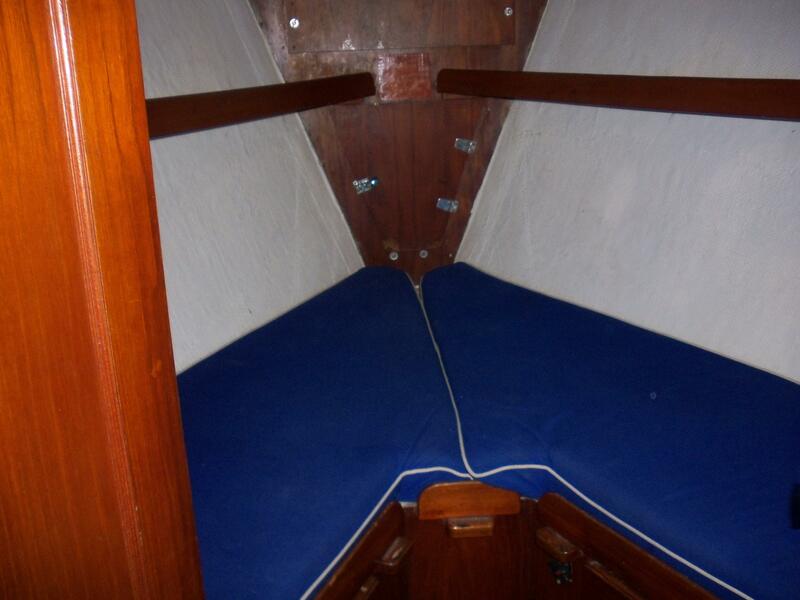 Seller wants this boat gone, bring offers! 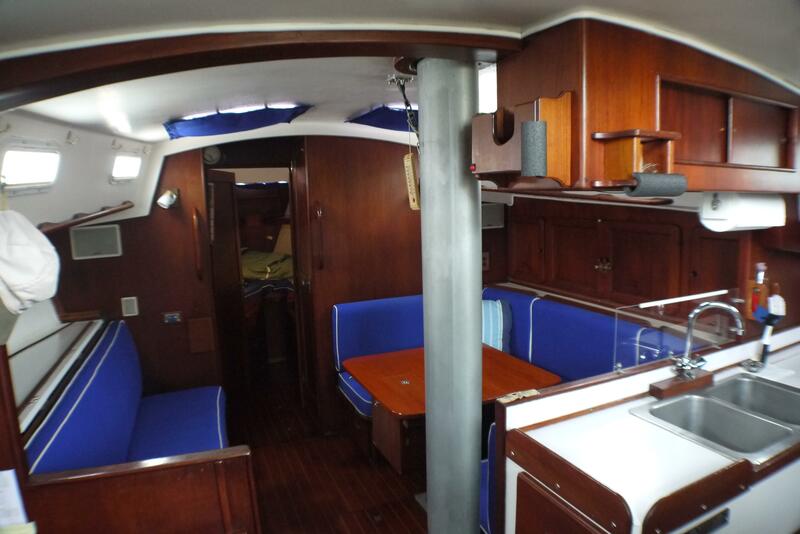 This Morgan 462 is a spacious and comfortable cruiser! 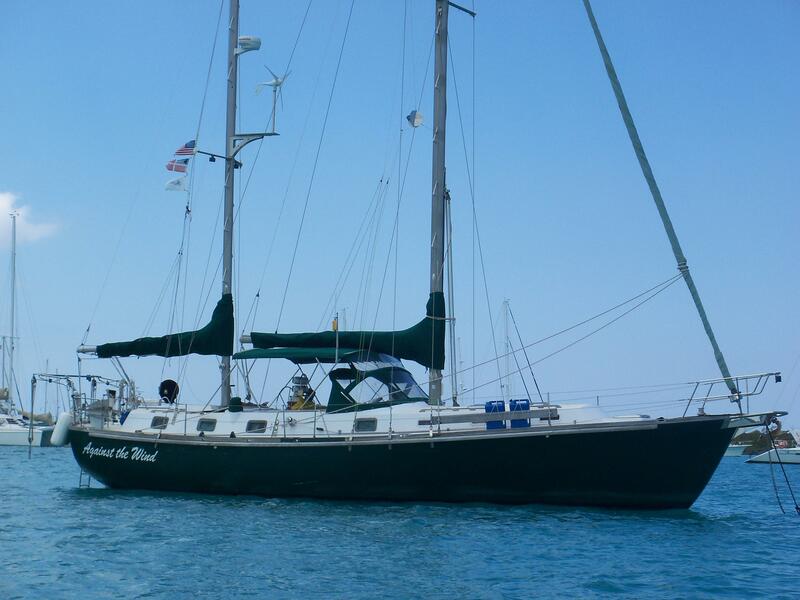 "Against the Wind" was purchased by her current owner in 2007. 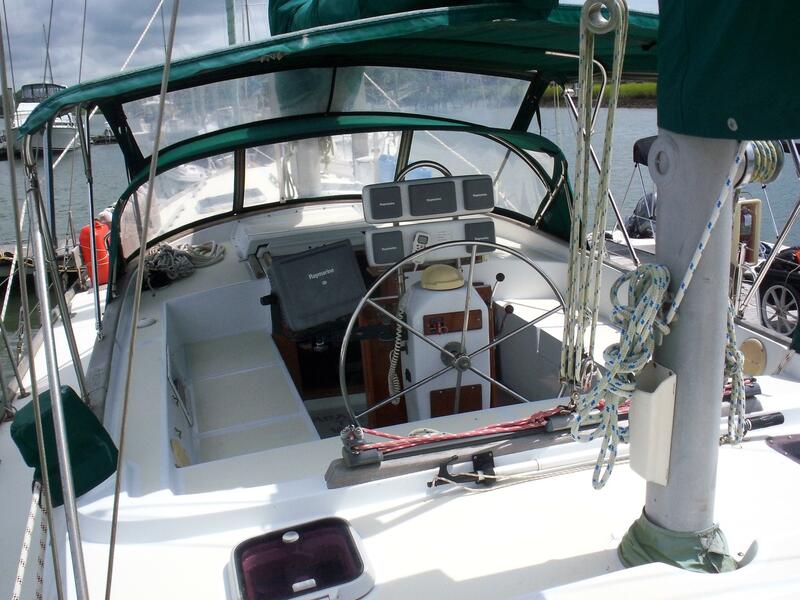 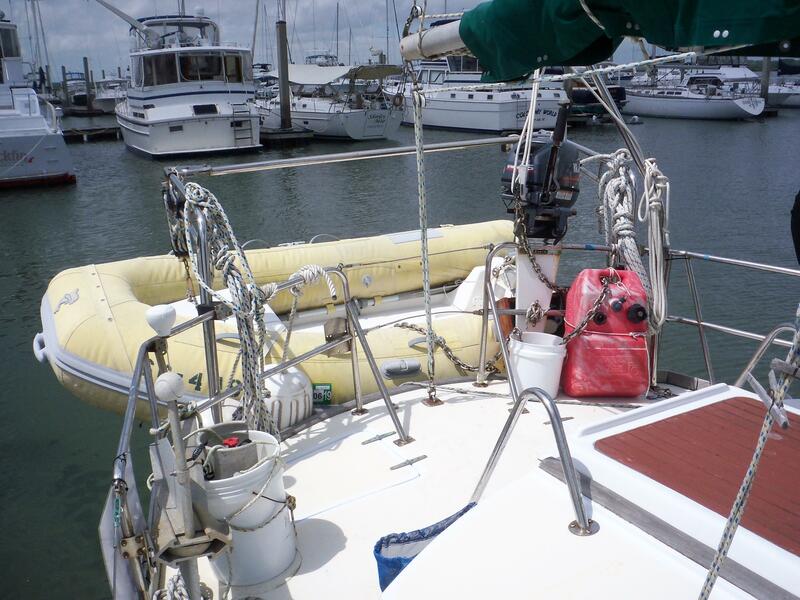 She was updated and outfitted for cruising, and then sailed to the lower Caribbean and back over a two-year period. 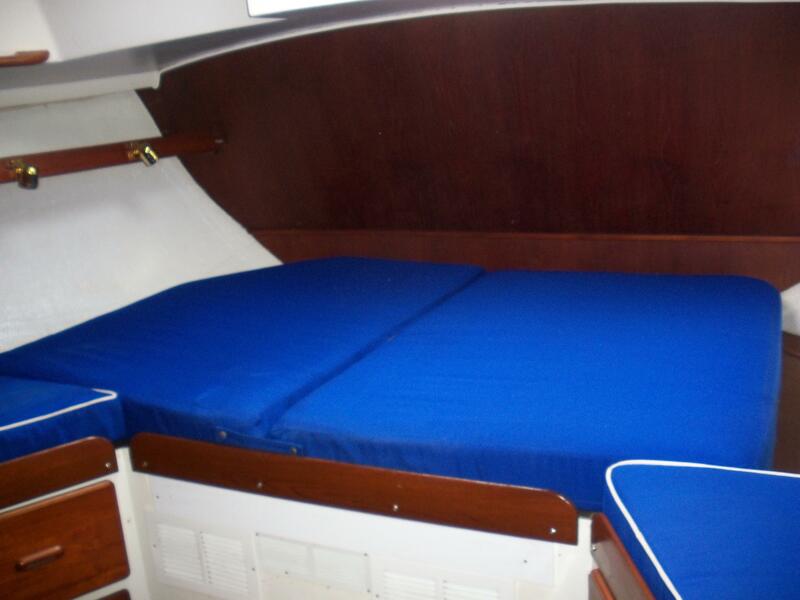 She is very roomy and comfortable, and has been thoughtfully set-up for extended cruising or living aboard. 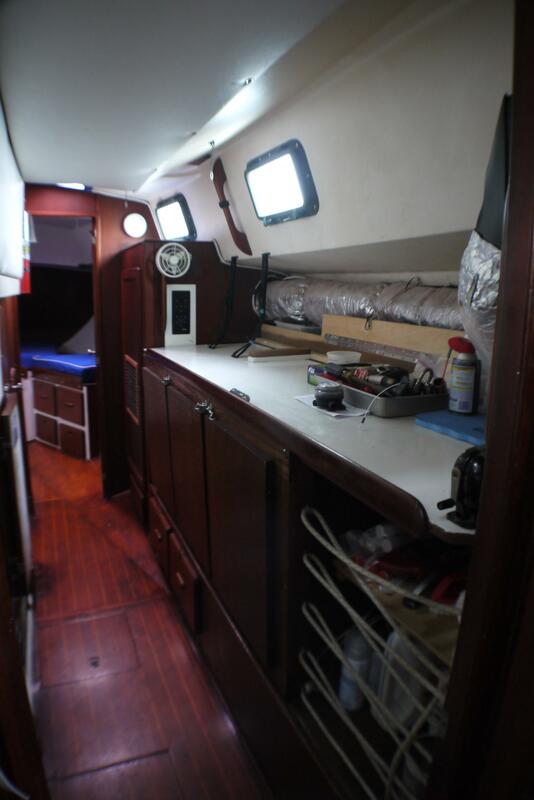 Forward V-berth is roomy, with copious storage in shelves, hanging lockers and drawers. 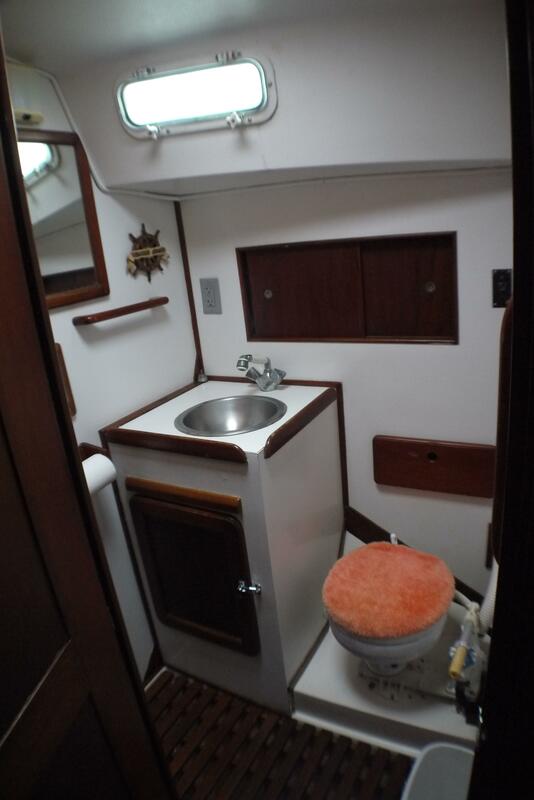 Aft of the V-berth is a two-door head compartment with a marine head, sink with vanity and retractable shower head. 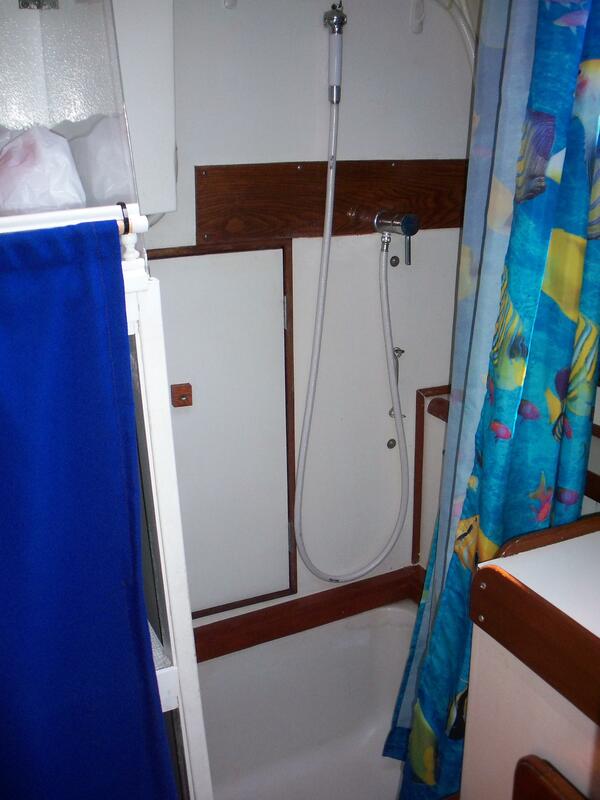 There is a shower sump beneath a teak floor grate. 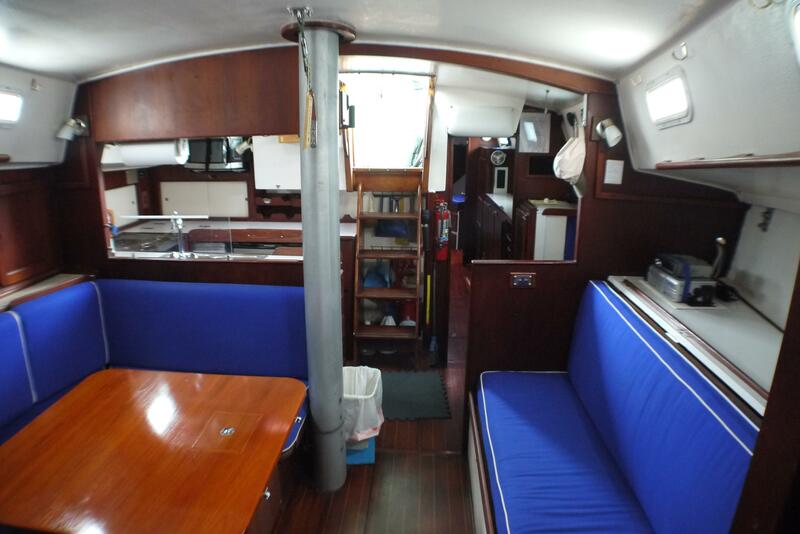 Main salon has a U-shaped dinette to starboard, with a settee to port. 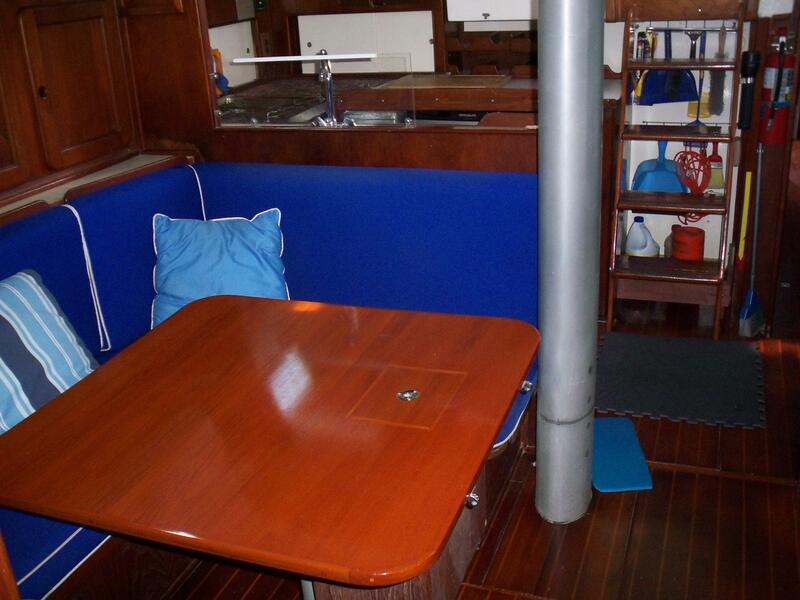 Table has an extension to accommodate additional seating, as well as built-in wine bottle storage. 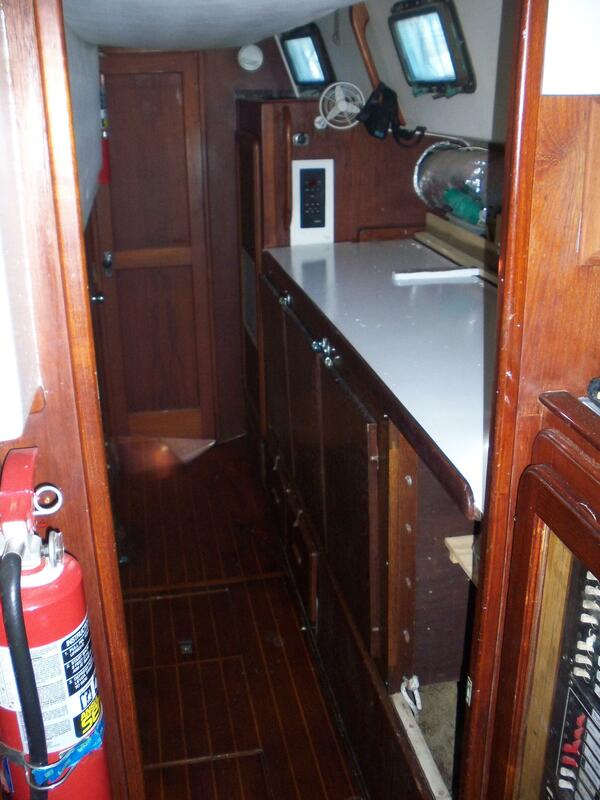 There is storage underneath and behind both settee and dinette. 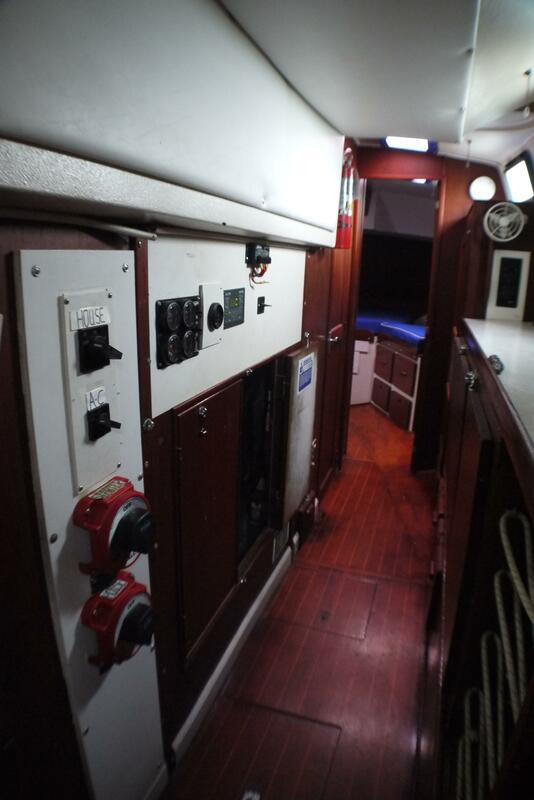 The galley is U-shaped for comfort, safety and convenience when underway. 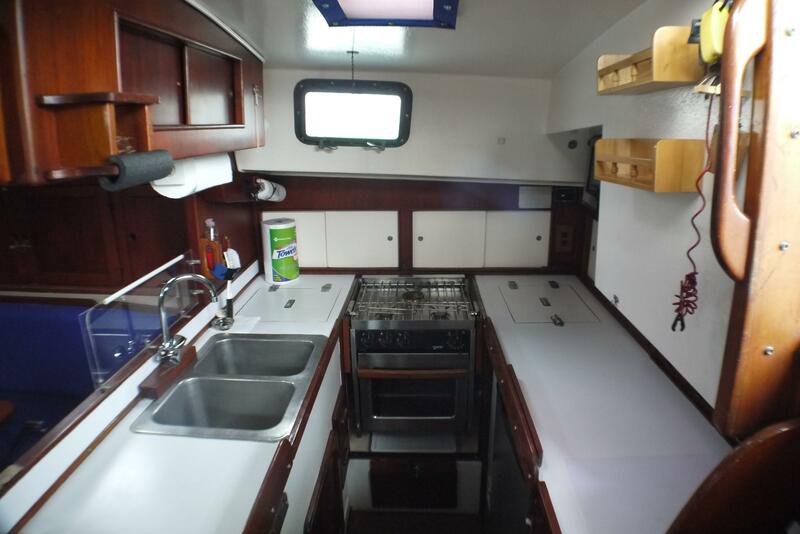 There is a Force-10 3-burner propane stove and oven. 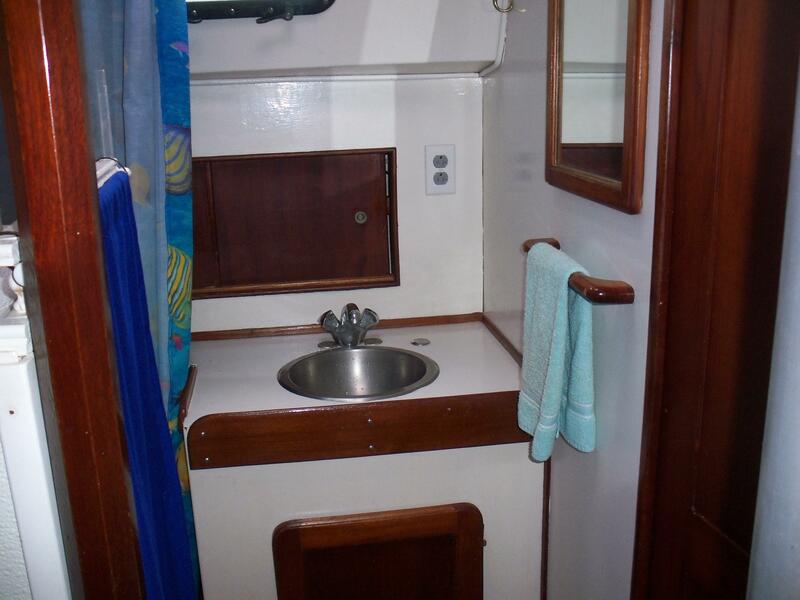 The sink is of stainless steel construction, and is double-sided and deep. 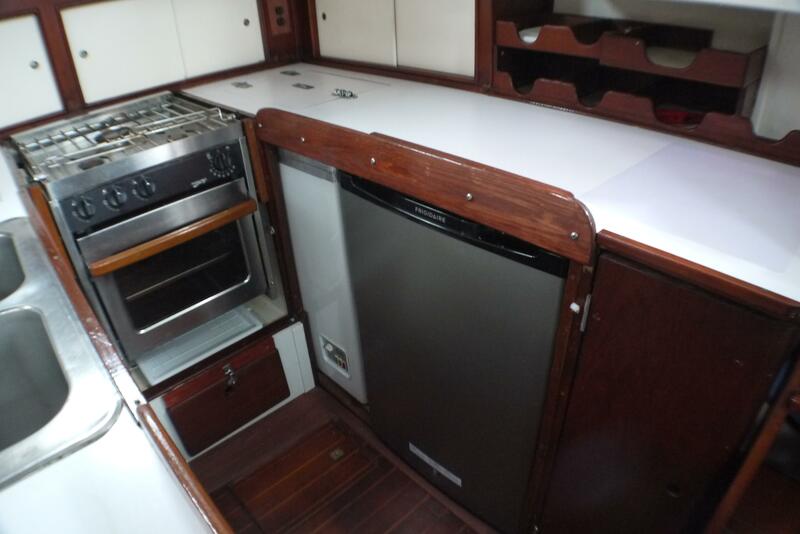 There is a Frigidaire 4.5cu.ft. 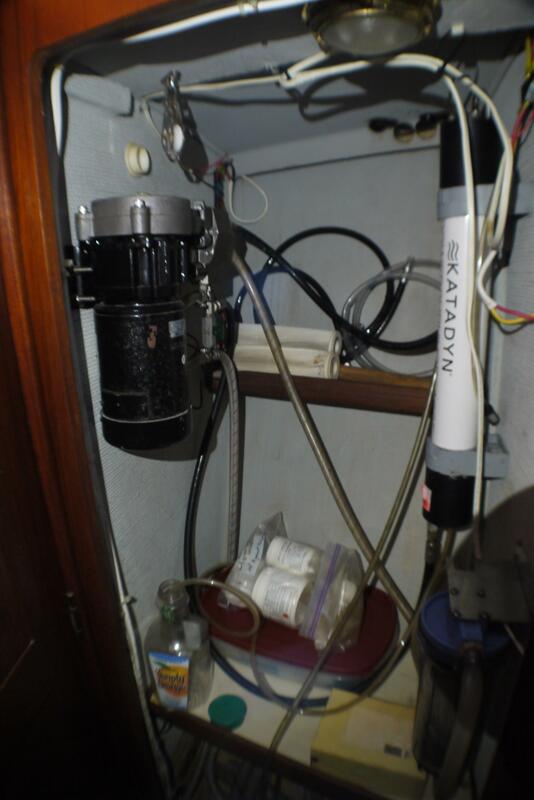 refrigerator with a small freezer, as well as a stand alone 3.0 Avanti freezer. 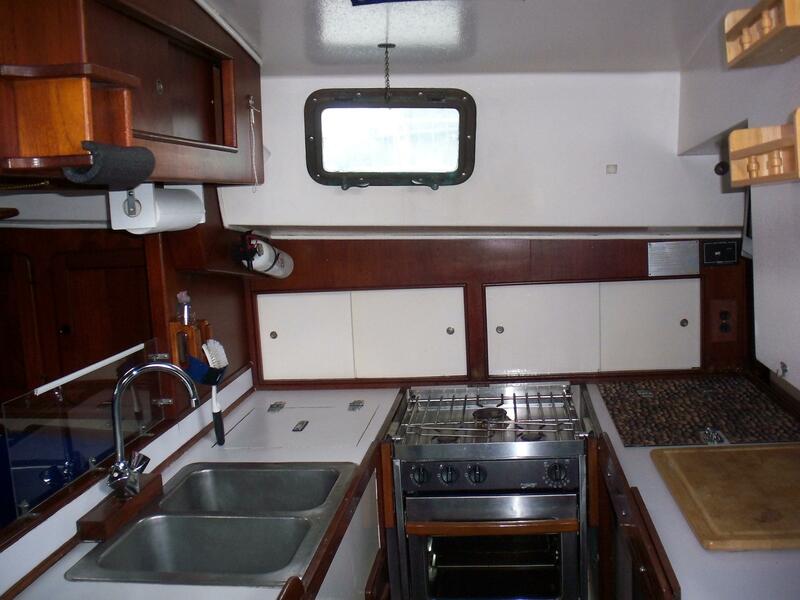 There is also an Emerson microwave oven. 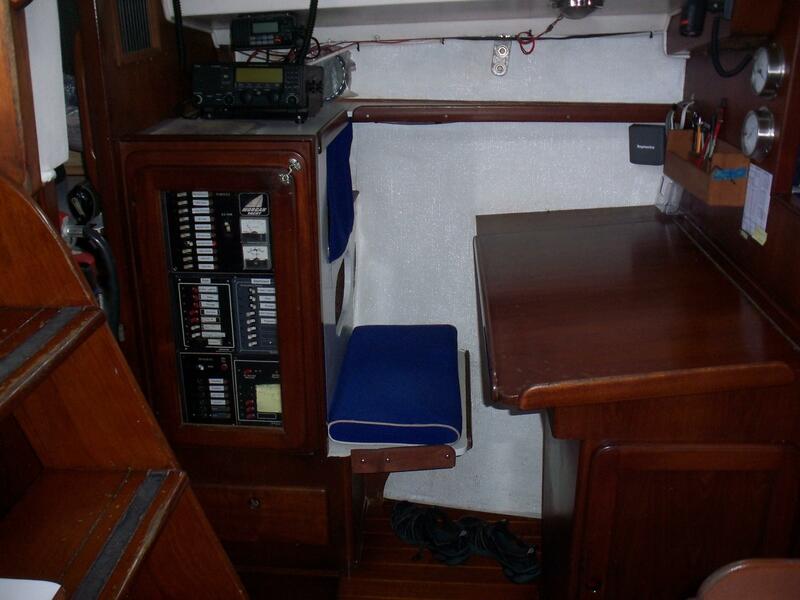 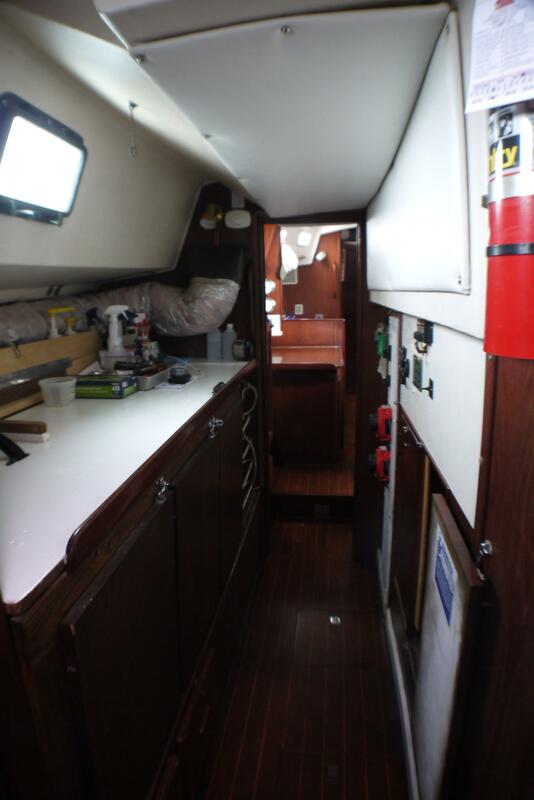 The port-side walkthrough to aft cabin has been converted into a workbench and storage area. 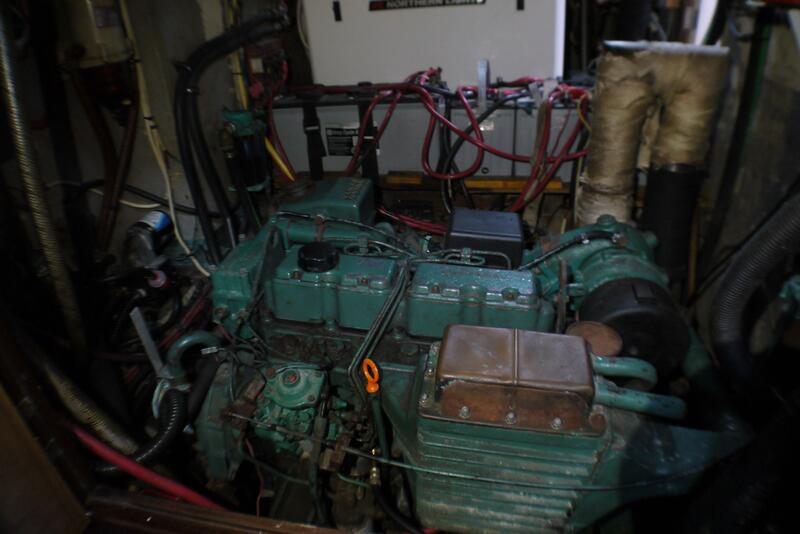 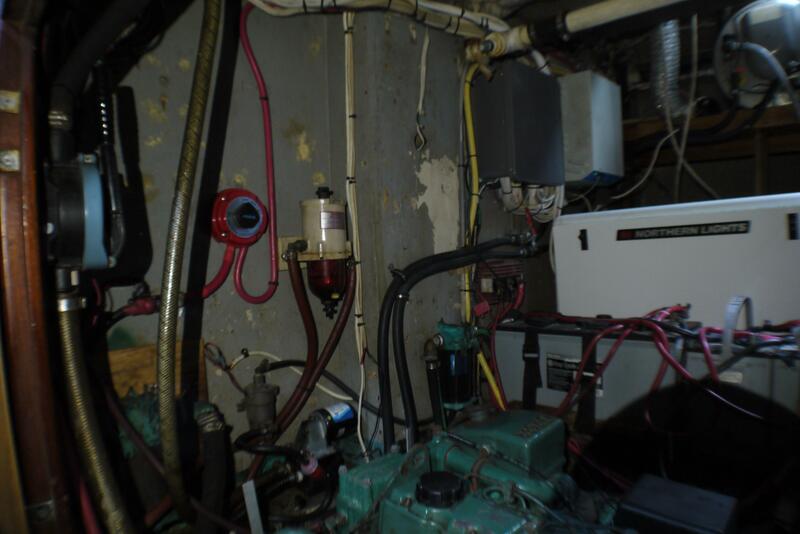 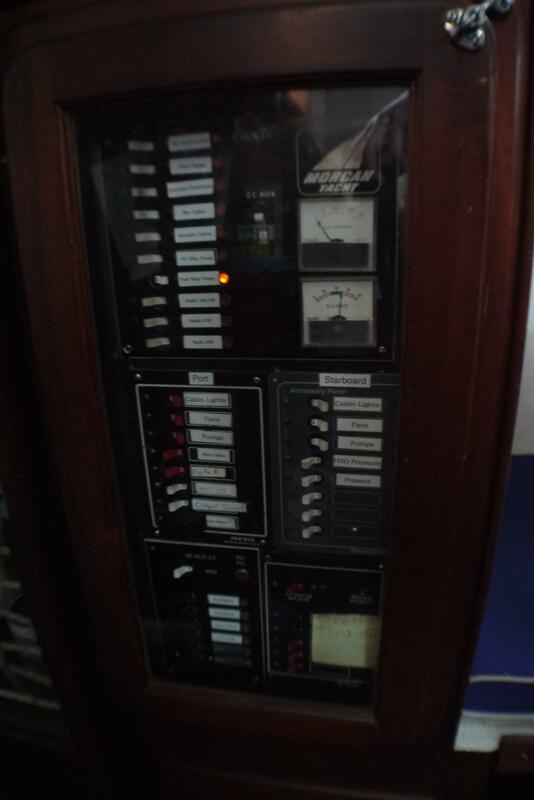 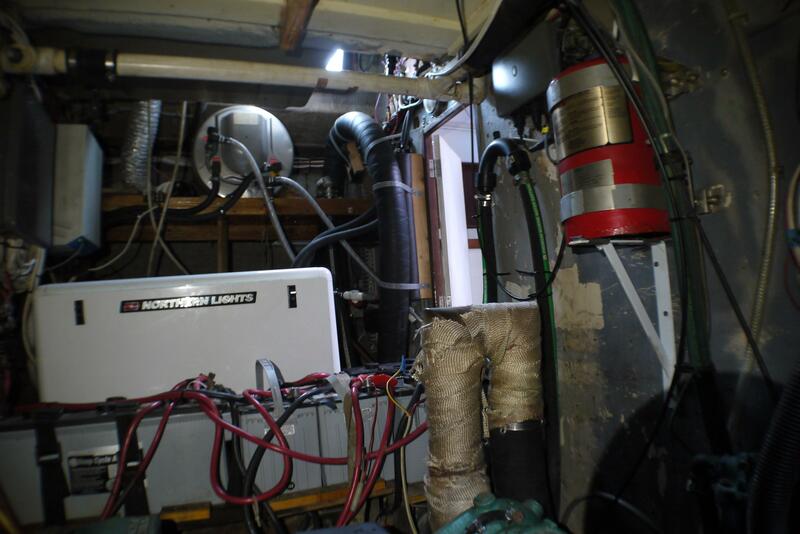 This walkthrough also provides excellent access to the boat''s engine room. 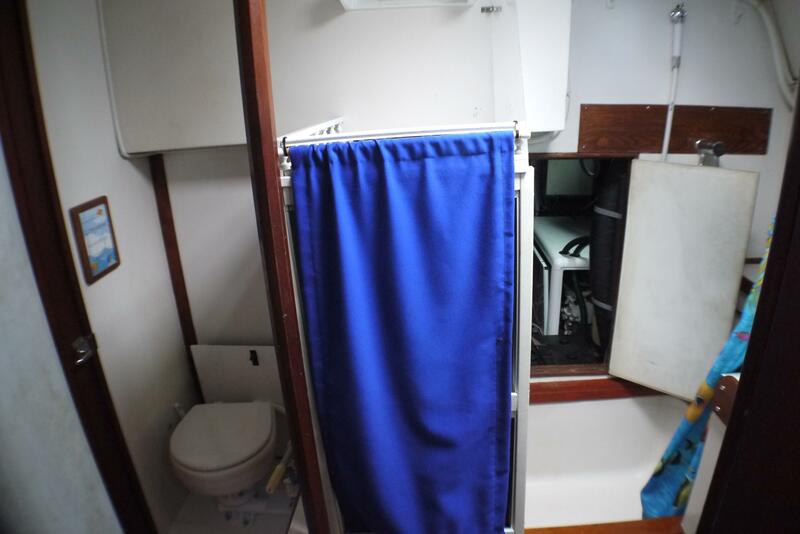 In the stern cabin, there is a large berth with plenty of lockers and drawers, as well as a private en-suite head with manual toilet and shower with tub.